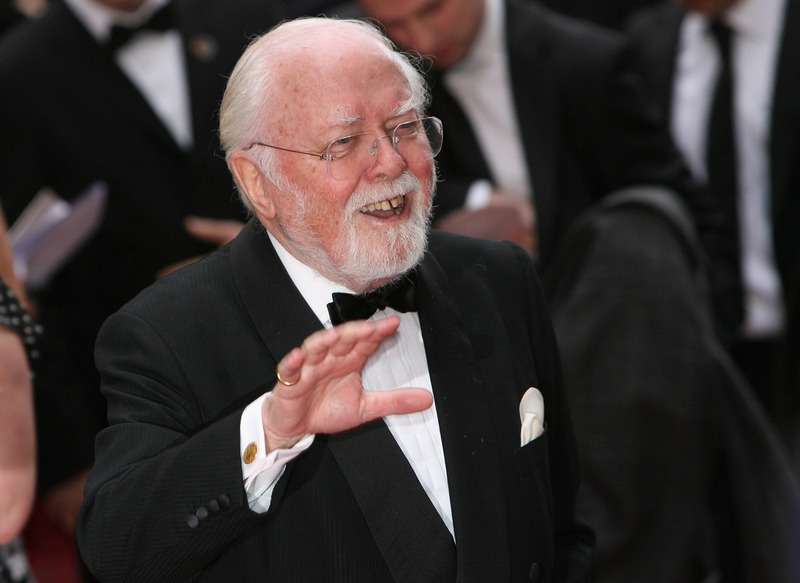 Hollywood lost another noted Sunday afternoon with the death of Sir Richard Attenborough. He was noted and beloved by many — and in a whole range of different capacities. Attenborough's face may be most familiar due to Jurassic Park or Miracle On 34th Street, but he was an Academy Award winner for the 1982 biopic Ghandi, and he directed Robert Downey Jr. in his 1992 Oscar-nominated starring turn in Chaplin. As has become customary in times where we've lost notable public figures, Attenborough's celebrity friends, colleagues, and admirers have taken to twitter to mourn and remember him. Attenborough, who also served as president of the prestigious Royal Academy of the Dramatic Art, had been active in film since 1942, when he got his onscreen (uncredited) role as a sailor in a movie called In Which We Serve. He directed twelve films total, including Oh! What A Lovely War (a musical WWII satire) and 1985's A Chorus Line. On twitter, he's being remembered by a wide range of people — from Prime Minister of the United Kingdom David Cameron, to Miracle On 34th Street so-star Mara Wilson, to those who just spent their lives admiring him like the rest of us.